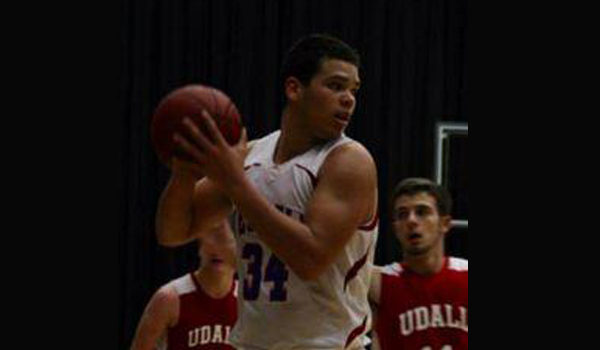 Isaiahh Loudermilk is not only a basketball player, is a recruit on the rise in football for 2016. Isaiahh Loudermilk, a 6-foot-6, 255 pound junior from tiny West Elk, located in Howard, population 687, has been turning heads on the basketball court over the last couple of seasons. But right now he is turning the heads of division one football coaches by landing his first division one offer from Wyoming, as reported on twitter by John Baetz of Kansas Pregame, on Thursday. "The offer is an eye opener for me. I am very excited about it." Loudermilk said. Loudermilk, who was a first team all-state selection in 8-man this season at offensive and defensive line, was recruited to play defensive tackle for the Cowboys. We initially contacted Loudermilk a few weeks ago to see if he was seeing any recruiting looks. He said interest was picking up, but no offers, and several division one programs were starting to contact his head coach, Chris Haag. Loudermilk is a very athletic big man and shows so on the basketball court, averaging nearly 19 points per game and pulling down a state leading 14.8 rebounds per game. It's not often you see a division one offer from an 8-man school in Kansas. "This offer is going to make me work harder in the weight room and become better this off-season"
For now its basketball season and Loudermilk and West Elk (15-4) will open up 2A sub-state play at home on Monday against Yates Center. Expect recruiters to make their way to Howard soon for this rising Kansas 2016 prospect.